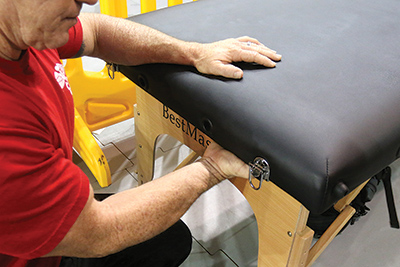 Physiotherapy is an ever-evolving field, with new research being conducted all the time. Anterior Cruciate Ligament (ACL) injuries are a hot topic, as they affect amateur sportsmen and women the most, in terms of severity of injury, rehabilitation time and return to sport complications. ACL reconstruction surgery is a very common operation, and to many, a necessity if they want to get back on the court or field quickly. For a number of years there has been evidence suggesting the benefits of surgical management and likewise for conservative management. But what about the years after surgery? Finally some research has shed some light on this. An article comparing early surgery and rehab with early rehab with optional delayed surgery was recently published in the British Journal of Sports Medicine by Filbay et al. Focusing on active 18-35 year olds, if only an ACL injury was present, the researchers found that conservative management resulted in less knee pain at the 2 and 5-year mark post surgery. Early reconstruction only worsened outcomes at the 2 and 5-year mark, given that there was no concurrent cartilage, meniscus or other ligament injuries present. If you had a concurrent injury, then delayed reconstruction, with a period of prehab, showed the best results at the 2 and 5-year mark. This is interesting research, considering the highly commended KANON trial has found no difference in patient-reported, structural or functional outcomes at 2 and 5 years following injury for patients who elected to go conservative, surgical or delayed surgical management. Given this new insight, it gives weight to considering the conservative management for an ACL injury. Keeping in mind all injuries and all people are unique, it is best to seek the opinion of your Doctor or Physio. At NCCP we deal with both surgical and conservatively managed ACL injuries with our lower limb rehab classes lead by a Physiotherapist and Exercise Physiologist each week at The Cube Gym in Brookvale. For further information on the ACL/Lower Limb Rehab Clinic, please call us on 9905 3500.